America, the National Football Fall of Fame has some new members for 2009. They include standouts on defense, Bruce Smith and fomer Raven Rod Woodson who were elected on their first try, while former commissioner Paul Tagliabue was denied for the third straight year. Also picked Saturday were longtime Bills owner Ralph Wilson; the late Derrick Thomas, former Vikings guard Randall McDaniel; and former Cowboys star Bob Hayes. The inductions will take place on Aug. 8 in Canton, Ohio; meanwhile, let's all respect these great men who are now immortals in the game. With Spring Training around the corner, the Baltimore Orioles roster -- barring any more deals or trades -- is shaping up. However, from the looks of things, one guy may already not be happy as to the organization's future plans. Luke Scott yesterday was on MASN's Playmakers and let Birdland know that his defined role in 2009 may be as the regular designated hitter, not as the left fielder due the acquisition of Felix Pie. Therefore, he let his feelings be known about the situation, and one could assume from his words he's not keen to the idea. In a little more than 48 hours, the Super Bowl -- only the biggest game in America -- will be played as the Pittsburgh Steelers counter against the upstart Arizona Cardinals. Now, it looks like most pundits are picking Pittsburgh to win; however, do not discount Kurt Warner and the Cardinals' offense. I'm assuming that the Steel Curtain defense will hammer them to their sixth Super Bowl win, but if they start off slow and slack off, things could get very ugly. 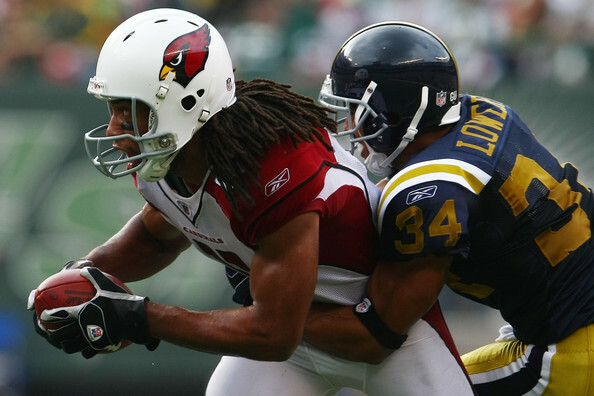 Arizona could take advantage of a weak Steeler defense and put up points on the board quickly. Two weeks ago, Oriole second baseman Brian Roberts got married and he chatted about it on 105.7 FM (The Fan) during his weekly Tuesday call-in segment. The lucky bride: Diana Chafair. She has modeled for FHM Magazine and is a model. Since I'm at work, I am not going to post her swimsuit model pictures, but a special tip of the hat goes to the Baltimore Sports Report for informing me about her, and Camden Chat has some pictures at their blog as well. I guess I should give you fair warning that if you're at work, you might want to wait until you leave your office to check out the links. Baseball is much of a business as it is a fun game, or a way to relax and escape the pressures of life at least for a few hours. Kevin Millar yesterday spoke to The Sun's Peter Schmuck, and more or less found out the hard way that the Baltimore Orioles are moving on, and will probably not extend an invitation for him to be part of the squad in '09. I loved Millar's attitude and spirit with the Orioles; however, even I feel the team should give Huff a chance to play the position everyday or get younger at that spot. The fun-loving first baseman expressed himself, and he was nothing short of candid, if even heart broken. 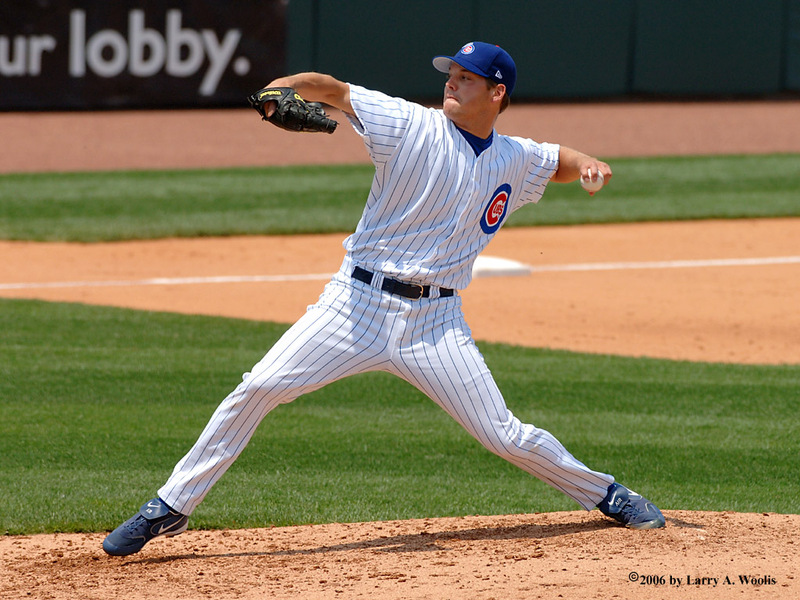 Chicago Hurler Rich Hill Possibly an Oriole? The Orioles and Chicago Cubs are again involved in trade talks, this time about the Cubs' left-handed starter Rich Hill. 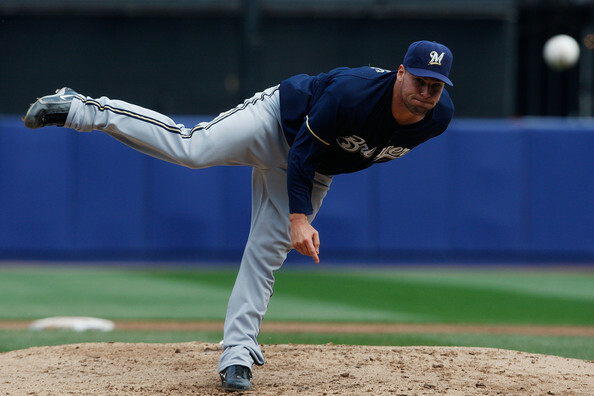 According to industry sources, the two teams have had ongoing talks about Hill, a one-time top pitching prospect who is struggling to regain his command. One industry source said it's a "strong possibility" that Hill will wind up with the Orioles, perhaps as early as next week. The Orioles will likely give up a player to be named who could be contingent on Hill's success in Baltimore. The Baltimore Examiner Going Kaput? I was about to do an update on baseball and what's going on in Birdland; however, while in Marc Fisher's Washington Post chat, there was a posting that the Baltimore Examiner was ceasing operations as of the middle of next month. Basically, the newspaper could not find a buyer to take over the operation. With what's happening with the media and the new economy, nothing much suprises any more. However, with the downsizing with the Sun and now the Examiner ending operations, one has to wonder where the future of the media is headed. I don't watch FOX 45, nor live in Baltimore; however, after reading this on the Medium Well blog on the Baltimore Sun and on Roch's Blog on MASN, I'm curious to see what she is about. As well, I'm sure fans will definitely want to learn more about the newest media personality. Kristen Berset (her website) started as the new weekend sports anchor/reporter at Channel 45 last Friday. She came to Baltimore from Panama City, Fla.'s WJHG. Berset is a former Miss Florida USA and finished in the top 10 in the Miss USA pageant. According to her Web site, "she continues to pursue a dual career in modeling and broadcast television." I'll say, she's not the definitely typical sports anchor, and as hard as Baltimore fans can be on some personalities, as long as Ms. Berset shows some competency and does her job well, she'll get a lot of attention. Needless to say, the station may have a new star on it's hands. Today, Peter Schmuck on his blog does a great job of pointing out the pros and cons of signing Ben Sheets to a contract with the Orioles. Now, I realize that it's not your concern whether the Orioles cough up $20 million or so on a dare, but I'd like you to try to imagine the reaction they would get if they sign Sheets and he undergoes elbow surgery in May and is lost for 1 1/2 of those two seasons. I'm pretty sure a lot of the same people who think he's such an obvious choice would be lining up to blast the O's for another brainless, short-sighted move. From the Baltimore Sun: Still seeking an innings-eater for the middle of their rotation, the Orioles continue to have talks with the representative of free-agent pitcher Braden Looper, according to industry sources. It looks like the Orioles and George Sherrill are headed for a showdown -- in an arbitrator's office -- perhaps sometime next month, unless a deal can be worked out. As it is, from what I know, the arbitration process is no fun as both sides argue for money -- the Orioles want to pay him X amount, while Sherrill wants Y amount. Basically, Baltimore will counter that Sherrill is not what he thinks he's worth, while number 52 will contend why he should get a raise. Usually, the amount the player gets is somewhere between the lowest figure (the team) and the highest figure (the player). The Orioles have been successful aruging arbitration cases, and usually there's hurt feelings, but everyone tries to be professional and move on. 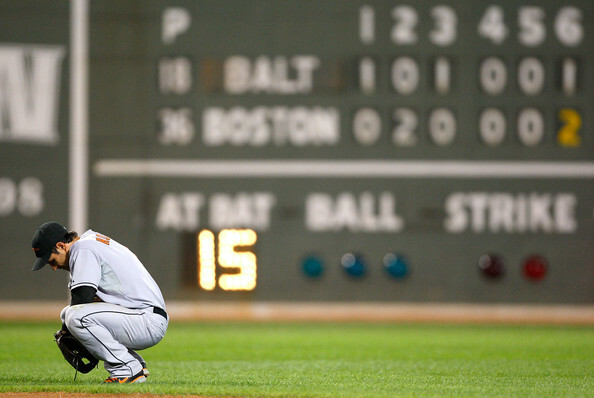 As much fun as baseball is, it's a huge business -- and sometimes a very cruel one. The Orioles announced this afternoon that they are holding their annual FanFest on April 4th -- it should be a fun time. 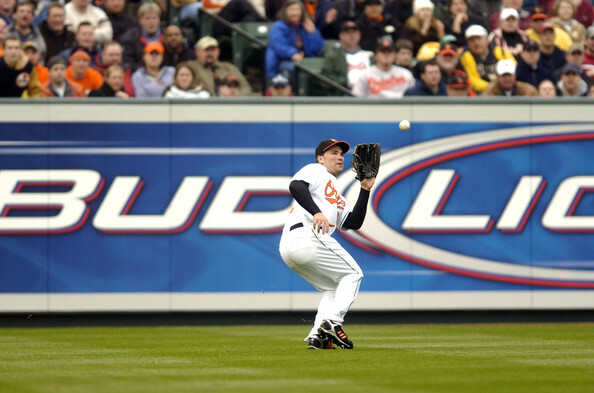 The Orioles will host FanFest -- an open workout and activities designed to celebrate the start of the 2009 season -- on April 4 from 10:30 a.m. to 3:30 p.m. at Camden Yards. Events planned for the day include autograph and question and answer sessions with current and former players and coaches, fan forums and interactive activities for families and children. Players will man autograph stations along the warning track on the field and fans will line up in the seating bowl to receive autographs. During the team workout, fans can sit in box seats between the dugouts and watch as Orioles take their first swings at Camden Yards. Jon Garland, who won 14 games for the Los Angeles Angels last season, has agreed to a one-year deal with the Arizona Diamondbacks, a source told ESPN.com's Jerry Crasnick. Garland agreed to a one-year deal with a mutual option for 2010. The deal is pending a physical, the source said. The agreement was first reported by the Arizona Republic. 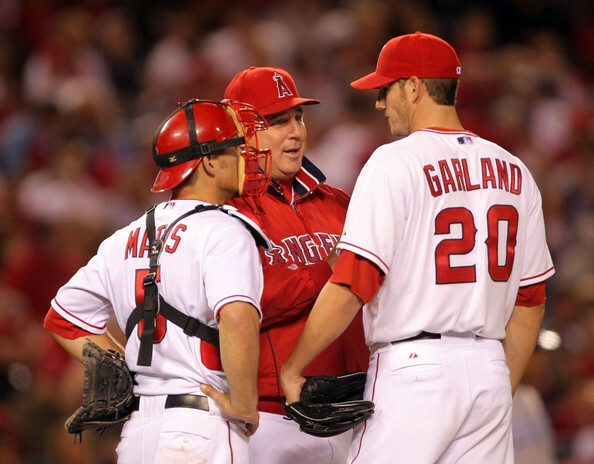 Garland will make a base salary of $6.25 million in 2009, a source said. The option year will pay him $10 million. If Garland wants to return for 2010 and the Diamondbacks decide not to exercise the mutual option, he will receive a $2.5 million buyout. If Garland rejects the option and elects to go back on the free agent market, he will receive a $1 million buyout. This morning, MASN announced that former major league reliever, Rob Dibble, will join their staff as a color commentator, replacing Don Sutton. Sutton -- a Hall of Famer and former longtime Braves broadcaster -- who held the position at the network, asked to be released from his contract presumably to rejoin Atlanta, more than likely on the radio. From MASN Sports: MASN has added two-time All Star and 1990 NLCS MVP Rob Dibble to the Washington Nationals broadcast booth for the 2009 season and beyond. Upon joining the MASN broadcast team, he will be reunited with Bob Carpenter, who he worked with at ESPN in the 1990's. 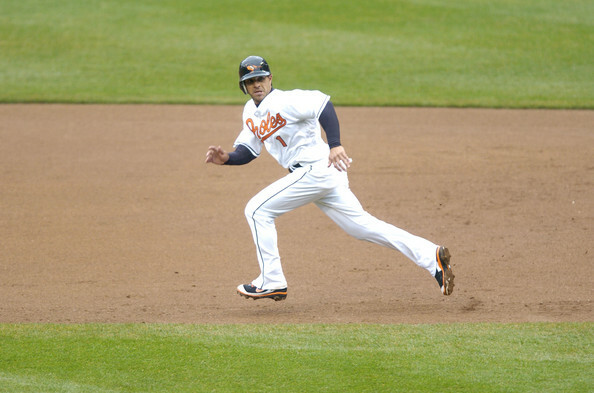 Here's yet another Orioles 2009 preview, this time from Yahoo's Gordon Edes. He, much like most of the media, pundits and fans project a last place finish for Baltimore. The article isn't too long, covers the bases and mentions pretty much all know already. It's so lovely to see snow outside for a change, and to have a Norman Rockwell painting outside my office window; however, in just a few weeks, pitchers and catchers will be reporting to sunny Florida to usher in the start of baseball season. However, for many Orioles fans, the biggest issue on their mind besides the pitching rotation is of the status of Brian Roberts. A while ago, I felt that the team should trade him if needed, but now the more I think of it -- they might want to give him what he wants. Who's in the pipeline? Who could replace his production? I have no clue. At this point, I'd say keep him, give him his extra year and flip him if needed. I live down further near Washington, so I listen to WBAL on the radio perhaps maybe a handful of times here and there while driving on I-95. Today, it looks like the economic downturn has hit the station as Steve Davis -- the host of "Sportsline" -- has been laid off. From what I know, some hated him, some appreciated him; however, it's disheartening to her yet another voice in the market disappear. I'm assuming with some sponsors not buying ad-time, or revenues not being as high as they used to be, eventually someone would have to be on the chopping block from WBAL to maintain profitability. A fan favorite who defined the word 'scrappy' has found a new a home. This afternoon, Brandon Fahey -- who won the hearts and minds of some -- has gone north of the border and has become a Toronto Blue Jay. From the AP: TORONTO - Infielder Brandon Fahey and outfielder Jason Lane agreed Monday to minor league contracts with the Toronto Blue Jays and were invited to the team's major league spring training camp. 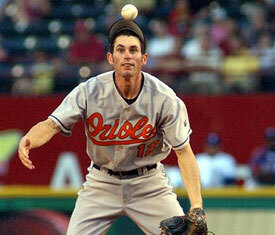 Fahey, 28, batted .226 with nine doubles, two triples and 12 RBIs in 58 games last year with the Orioles. Things are quiet in Birdland; however, in the Bronx and Los Angeles, there's a saga taking place right now and it has nothing to do with what's going on with the Hot Stove. Just today, various media outlets have reported the former Yankee and current Dodgers manager, Joe Torre has a tell-all book about his tenure in New York titled, "The Yankee Years," and it isn't good. Joe Torre -- who has been classified as a manager who was nothing short of dignified through the toughest all challenges -- lashes out against his former employers and Alex Rodriguez. In an explosive new book called "The Yankee Years," Torre gets most personal in his attacks against Alex Rodriguez, who he says was called "A-Fraud" by his teammates after he developed a "Single White Female"-like obsession with team captain Derek Jeter and asked for a personal clubhouse assistant to run errands for him. Although most people know Pat Summitt of Tennessee as the face of coaching in women's basketball, another bright face in that illustrious group -- Kay Yow -- tragically succumbed to cancer this morning. She was 66 and was the women's basketball head coach at North Carolina State University. Yow won 737 games in her career, coached the United States Olympic Women’s Basketball team to a gold medal in 1988. Also, she won 4 ACC Championships, went to the NCAA Tournament 20 times and made it to the Final Four in 1998. Her struggle against cancer for the past twenty years served as inspiration for not her team, but her peers in the sport, competitors on the other side of the hardwood and fans. I covered women's basketball in 2007-2008 in the Atlantic Coast Conference, and her name became familiar to me as I knew of her sister Debbie Yow -- the University of Maryland's athletic director. As well, knowing someone who has battled cancer off an on for the past several years, you only have to admire the fight Ms. Yow showed especially being that she did it so publically and with dignity. May the Lord be with you and your family, Kay Yow. If you had a chance to watch the "Hot Stove" show on the MLB Network on Friday, Harold Reynolds, Al Leiter, Dan Plesac and Matt Vasgerian talk about the Orioles, but spend a good bit of time talking about Matt Wieters. They also mention the additions and the status of Markakis along with Brian Roberts. What a horrible loss to Duke. They lost to the Blue Devils, 85-44, and I cannot remember a game ever in my life where they have been so thoroughly defeated. From what I've seen, Maryland always has pretty much been competitive and very emotional when playing Duke -- except for a few instances -- but I could not believe what I saw today. College basketball is my second favorite sport after baseball and it was disheartening to see the Terps and Gary Williams lose in such a fashion. The Blue Devils are always tough, but I never expected the Terps to look this ugly against them. 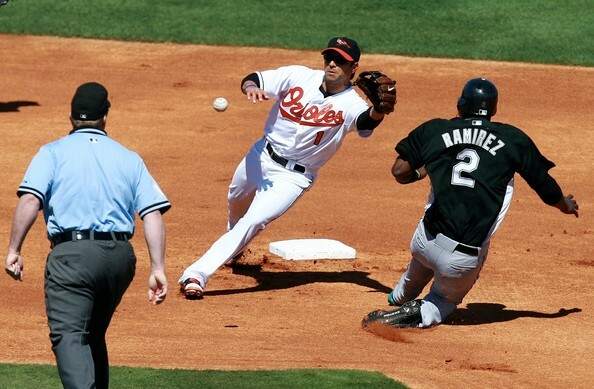 With the signing of Nick Markakis to a long term deal, the talk has naturally turned to extending Brian Roberts. He definitely has an affinity towards Charm City and the only organization he's played for, so it looks like he might want to stay in Baltimore. If the Orioles intend to sign second baseman Brian Roberts long-term, they will need to offer him a four-year contract, major-league sources say. Roberts, who is eligible for free agency at the end of the season, has received a three-year, $30 million offer from the Orioles, according to The Baltimore Sun. The Orioles can't miss prospect -- Matt Wieters -- held a brief Q&A chat on ESPN.com this Thursday, and answered questions from fans about mainly catching, the Orioles and aptly enough, crab cakes. It's quick read, and it's always interesting to see a highly regarded interact with fans either in person -- or in cyberspace. 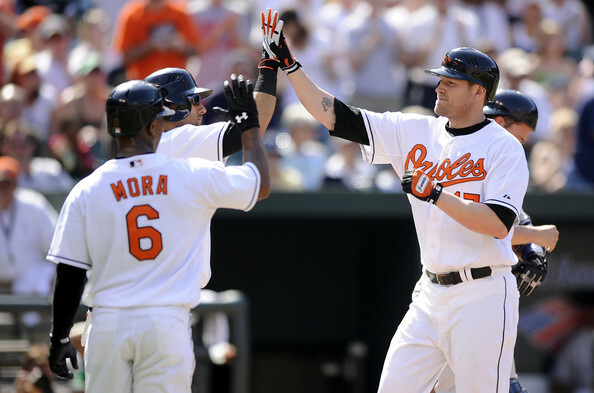 As well, ESPN's Buster Olney previews the Baltimore Orioles (video below). His review isn't brutal -- it's actually fair and balanced -- and the main theme is that we as fans have to practice some patience; oh, he also spends some time talking about Matt Wieters (towards the end) and the pitching. 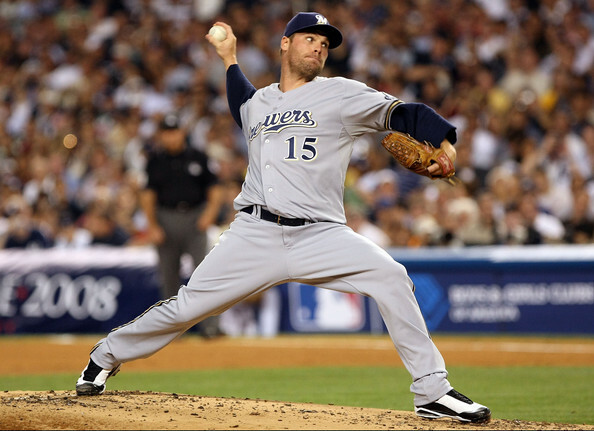 As of today, one of the better pitchers on the market, Ben Sheets is currently without a job. Although he's very talented, and when 'on', Sheets is a potential ace -- however, his reputation as fragile has perhaps cost him a long-term deal. That being said, with the state the Orioles are in -- and of course we need the pitching -- should we take a chance on thr hurler. As controversial as a move might be for some, we might be able to get him at a reasonable cost, and he may be one of those guys out there who will definitely Baltimore better. Right now, the rewards definitely outweighs the risk with Sheets; however, the money he wants -- plus the injury history -- may be more than the Orioles may be willing to pay. However, if the team really wants to make a splash, take a flier on him and see if he takes it. This afternoon, ESPN's Keith Law came out with his 100 top prospects list, and guess who was his top pick: Matt Wieters. As most fans of the black and orange know, Matt Wieters is one of the important pieces of the future with the Baltimore Orioles and the overwhelming majority of the media have been praising him since the day he was drafted. Wieters is typically compared to one of two current big-leaguers: Mark Teixeira and Joe Mauer. Those are tough comps to hang on a player who has yet to sniff the big leagues, but in Wieters' case, they're merited. 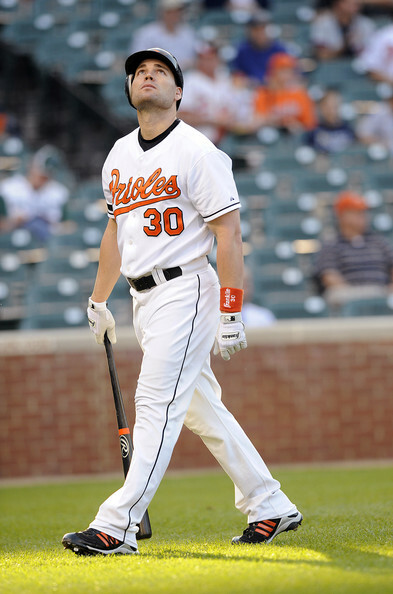 Wieters' similarities to Teixeira don't end with their common alma mater of Georgia Tech or the fact that each was selected with the fifth overall pick (Teixeira in 2001, Wieters in 2007). Like Teixeira, Wieters is a switch-hitter with plus hit and power tools from both sides. 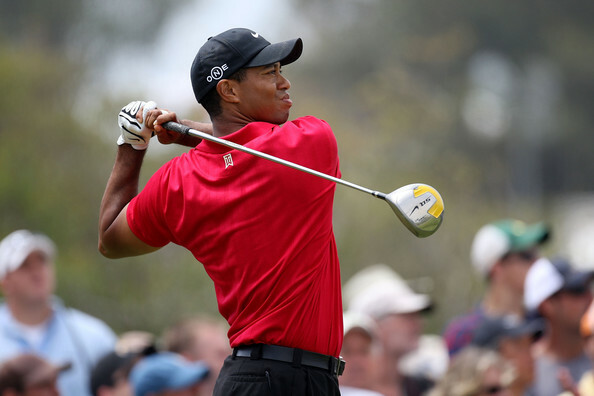 He's a little more fluid from the left side with slightly better raw power, but he could stand on his head and still be short to the ball and get good extension on his follow-through. His plate discipline is strong and improving, and he's filled out since college, adding power to the point where he's at least major league average right now. He does glide a little bit on both sides, but it has no discernible effect on his ability to hit. This afternoon, the Baltimore Orioles held a press conference to announce the signing of Nick Markakis to a 6 year/$66 million extension at the Warehouse. Obviously, now a Baltimore mainstay and one of the best right fielders in all of baseball, Markakis will now be expected to be one of the faces of the franchise and keep up his progress. 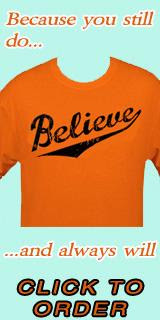 Now, with the huge contract, a marriage, the 25-year old can now only focus on baseball until 2014 and be a cog in the rebuilding of the Baltimore Orioles. Although there are some fans that have mixed reviews on the Baltimore offseason, it's almost universal that fans are happy anout Markakis finally signing an extension with the organization. Despite needing pitching, a shortstop, and perhaps more power when the 2008 season, Andy MacPhail -- president of baseball operations -- made extending Markakis a priority. Yesterday, ESPN Senior Baseball Analyst, Keith Law a list of all 30 baseball organizations ranked by the strength of their minor league teams.There's good news for the Baltimore Orioles -- he's ranked them 10th in all of baseball. Law's ranking of the organization isn't all that bad considering the state it was years ago due to just poor drafts & players that didn't work out. For most fans, despite the lack of success on the field, you cannot dispute the lower levels have gotten a lot better. 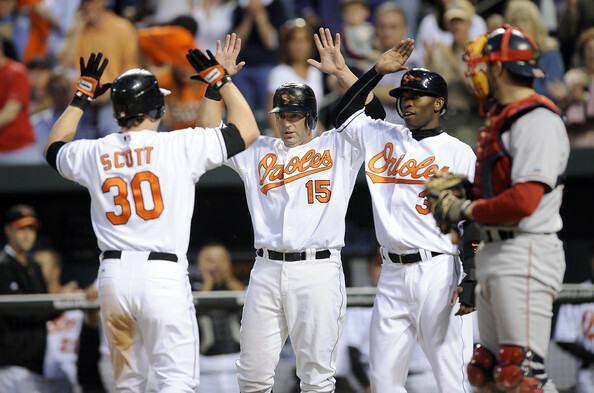 This afternoon, the Orioles and Luke Scott came to contract terms for the 2009 season. The deal is worth $2.4 million and was reached on Tuesday morning. Scott hit .257 with 23 home runs and 65 RBIs in 2008, and he should probably be slated as the designated hitter with the acquistion of Felix Pie over the weekend. In other news, the only arbitration eligible player left on the roster, George Sherrill could not reach a deal with the Orioles and will more than likely have his case heard in the next few weeks. From the Orioles.com: Sherrill, who has nearly four years of service time, requested a $3.4 million salary and was offered $2.2 million by the Orioles. Those proposals leave a sizable chance of the two sides settling in the middle before the arbitrator's ruling, and either figure will represent a sizable raise for Sherrill, who made a $980,000 base salary last season. From the Baltimore Sun: The Orioles have finalized a six-year, $66 million contract extension with outfielder Nick Markakis, according to baseball sources. 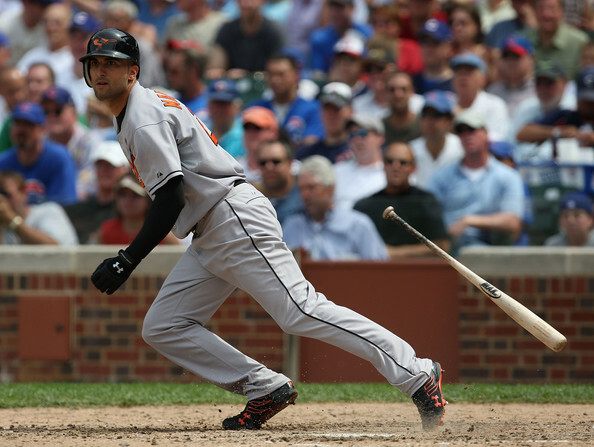 Markakis will be in Baltimore later this week to take a routine physical and to sign the contract. The deal, which will keep one of the organization's building blocks with the Orioles through at least the 2014 season, could also include some incentives and a limited no-trade clause. In terms of guaranteed money, it will be the second-most expensive contract in Orioles history behind only the six-year, $72 million pact given to shortstop Miguel Tejada in December 2003. Now that the football season is over in Baltimore, I guess it is now time to turn our collective attention to the Orioles. In my opinion, so far, the organization has done a fairly modest job in improving the team. For the most part, there are rave reviews about the Pie-Olson trade. While you always hate to trade pitching for a hitter, Pie just has way too much potential to just not make this move for Olson. The Cubs may have put too much of a burden on Pie -- that organization is not a place for on-the-job training -- and he may for once get all the opportunities in the world to play in Baltimore. More likely than not, I see him starting. I think the O's are just going to let him go out there (ala Adam Jones) and hope his minor league numbers can translate in the majors. I see Luke Scott as the designated hitter, and Aubrey Huff playing at first. I think the Orioles are taking the baby steps to rebuild -- as in becoming younger and tad more athletic, and these are things you have to do to create a system. It looks like the Pittsburgh Steelers are heading to the Super Bowl as they beat the Baltimore Ravens, 23-14. 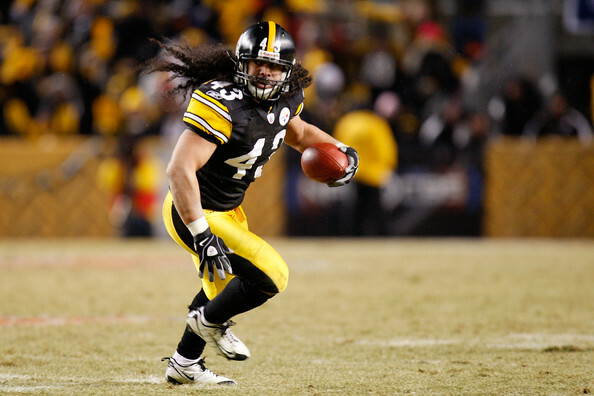 The battle between the two teams was hard fought; however, a late fourth quarter interception by Troy Polamalu off Joe Flacco and another one only a minute or so later did Baltimore in. The Ravens started off slow, but started to kick it in gear in the second half, but the Steelers were just too much. Flacco didn't seem as composed, and their opponents took advantage of his inexperience. Pittsburgh got off to a strong start – especially on the defensive end – Baltimore did not, and that made the difference in retrospect. In closing, no matter who you rooted for, you have to think about Willis McGahee and the hit he took with only a few minutes left. Let’s hope the worst scenario isn’t the case, and hope that he has a speedy recovery. Could the improbable now become possible? Yes, it looks my prediction about the Cardinals was wrong as they are headed to the Super Bowl after their 32-35 victory in the NFC Championship..
Philadelphia was off big time until the second half, while Arizona has started off well -- especially Larry Fitzgerald -- and still have a good size lead heading into the first half. The Eagles put up 13 points in the third quarter, but the Cardinals held on and Donovan McNabb could not finish the potential comeback. Again, can anyone believe the Cardinals -- a team, for the most part of their history out West that has been mediocre -- in the Super Bowl? If the Rays got to the World Series, the Cardinals can win the Super Bowl -- right? Fox Sports Reports Garrett Olson Has Been Traded For Felix Pie..
Fox Sports Ken Rosenthal has reported that the Orioles have traded Garrett Olson for Felix Pie -- a player that Andy MacPhail has always coveted. The Cubs have reached agreement with the Orioles on a deal that will send Pie to Baltimore for left-hander Garrett Olson and Class A right-hander Henry Williamson, according to major-league sources. Pie, rated the Cubs' No. 1 prospect by Baseball America in 2007, has yet to prove he can hit in the majors, batting .223 with a .284 on-base percentage in 287 career plate appearances. 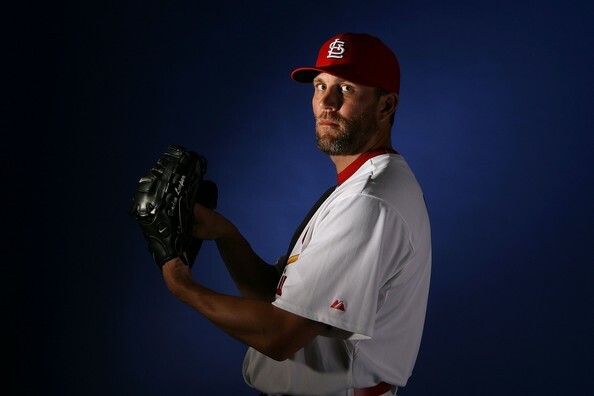 Olson, the 48th overall pick in the 2005 draft, could fit for the Cubs as a middle reliever if lefty Sean Marshall moves into the team's rotation. The Padres wanted Olson as part of a three-team trade for Jake Peavy earlier this off-season, and could ask for him again from the Cubs if those talks revive. While I am trying to warm up after spending much of the day in downtown Baltimore near City Hall eagerly awaiting Barack Obama's grand appearance, the Orioles and Nick Markakis may be close to a long term deal. Following the lead of Dustin Pedroia and Kevin Youkilis of the Red Sox, the organization needs to lock down their right fielder who is quickly becoming one of the most reliable and soon to be pre-eminent players in the game. If a deal is made, it's deserved for Markakis. As well, if the text below is true, the Orioles perhaps should relish that they signed the right fielder to a bargain. Assuming he does not go the DL, or show a steep decline in performance, I see great value in this deal. Ian of Sox and Dawgs, Jason of My Baseball Bias hosted our internet radio show — “The Hits Keep Coming” — that aired on the Fantasy Sports Channel at this past Wednesday on Blog Talk Radio. We talked about the historic week ahead of us with Barack Obama, the free agents left on the market, signings, along with the Hall Fame Votes (Henderson and Rice). This is sure interesting -- and possibly exciting as well. 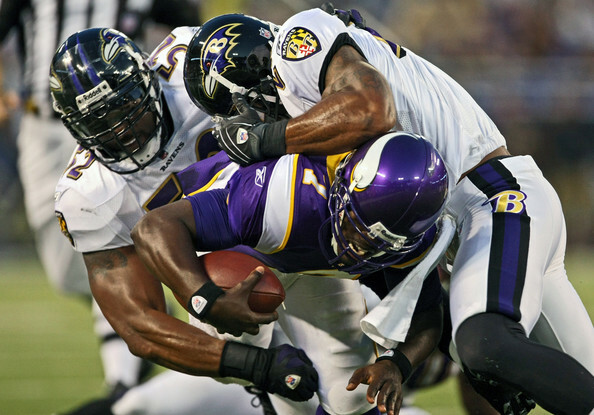 Prediction: Steelers vs. Ravens -- A Baltimore Upset? This is really not a football blog; however, since football is the national game and we're in Super Bowl season, let's talk about it. Well, the other day I gave a very brief synposis of the playoff games that took place last week, and I am going to give my prediction on first -- the Steelers-Ravens game. As most of you know, I am more a Redskins fan (save the jokes), and consider the Baltimore Ravens a second team to follow. That being said, conventional logic would say Pittsburgh should win because they were the number one defense in football and they have the ability to put up points at times. 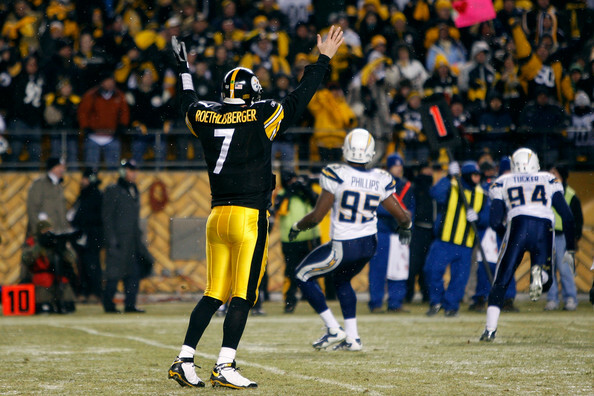 We all know how tough Pittsburgh is and the advantage Heinz Field gives them. It looks like a familiar face to Orioles -- Gregg Zaun -- will indeed come back for a second tour duty. 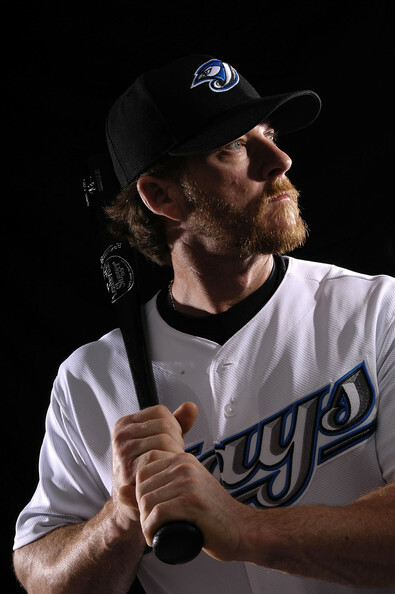 Last night, reporter and columnist, Dan Connolly of The Baltimore Sun said that Gregg Zaun has agreed to a one year contract with the Orioles that includes a team option for 2010. He will earn $1.5 million in 2009 and the Orioles have the option of paying him $2MM in 2010 or buying him out for $500,000. The veteran catcher should get the bulk of the starts behind the plate before uber-prospect Matt Wieters starts his majoe league career. Baltimore Orioles single game tickets go on sale Saturday at 10am. It will be interesting to see the ratio of out-of-town fans versus Oriole fans in the park this season. With spring training coming up within the month, the Orioles have released a list of players who have been invited to camp. Nick Markakis, George Sherrill & Luke Scott have filed for arbitration, ensuring that the trio should at least get a nice, hefty payday in the next few weeks. Orioles Hangout gives their take on the Gregg Zaun deal. The Baltimore Sun's Jeff Zrebiec pens a lengthy piece on the press conference yesterday. Meanwhile, George Sherrill gives his thoughts on the Japanese media and Uehara. Sun columnist Peter Schmuck gives his thoughts on yesterday, and the Orioles.com Spencer Fordin also has a report. He also reports that the signing of Uehara might be the last arm the Orioles get on the market, and they may trot out all other pitchers on the roster to patch together a rotation. MASN's Steve Melewski also comments on the press conference, as does Kate Wheeler, and Roch Kubatko. Tony Pente of the Orioles Hangout likes the move for Uehara. 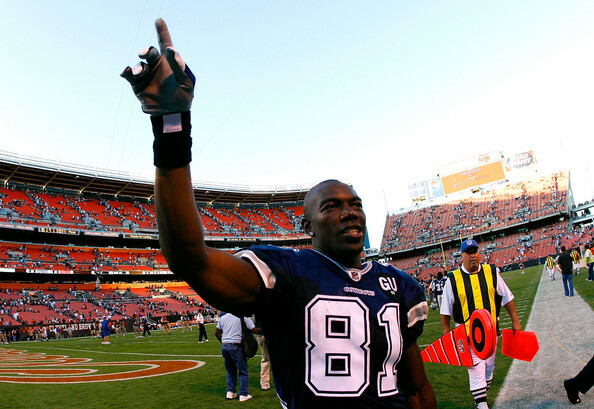 Terrell Owens, A Goner From Texas? Terrell Owens is one hell of a talent, and one of the most gifted players of any generation in football; however, the man is a meglomanic and has pretty much engaged in a "scorched earth policy" wherever he has played in the NFL. Now it looks like his team -- the Dallas Cowboys -- may want to exile him due to the team's performance in 2009 and his run-ins with some key personnel. I heard the "Scott and Anita" show this afternoon in my car while driving home this evening and I was quite surprised by what heard from Brian Roberts. It sounds like he will be giving the Orioles an ample chance to keep him -- assuming the price is right -- in their uniform. I'm sure he does not want to be traded, but he understands the business of the game; however, he definitely has an affinity towards Charm City and the only organization he's played for. Baltimore Sun: Mayor Ravenstahl issued a proclamation temporarily changing his name after he was taken to task by a local radio station for having Raven in it. I think Pittsburgh should just consider itself lucky that its mayor doesn't have more important personal issues to worry about. Haven't heard what the two mayors are going to have a wager on Sunday's game, so all I can do is speculate. If the Ravens win, Ravenstahl would probably send some of those weird sandwiches with the french fries in them. If the Steelers win, I'm guessing we'll just give him something from Best Buy. Should be a good game. Funny, how crazy people get about their sports, eh? All in good fun though and the best of luck to both teams. I'll have my predictions for this weekend's game maybe Thursday. Koji Uehera met the Baltimore press today in a press conference at the Warehouse and needless to say, it's nice to see a free agent genuinely happy to join a new team. For the media that was there, their reports of the occasion was a good one and they had high regard for the way Uehara handled himself. He seemed comfortable, confident, and had quite a personality. Do We Want Jim Edmonds? The Deal for Roberts to White Sox a No Go?